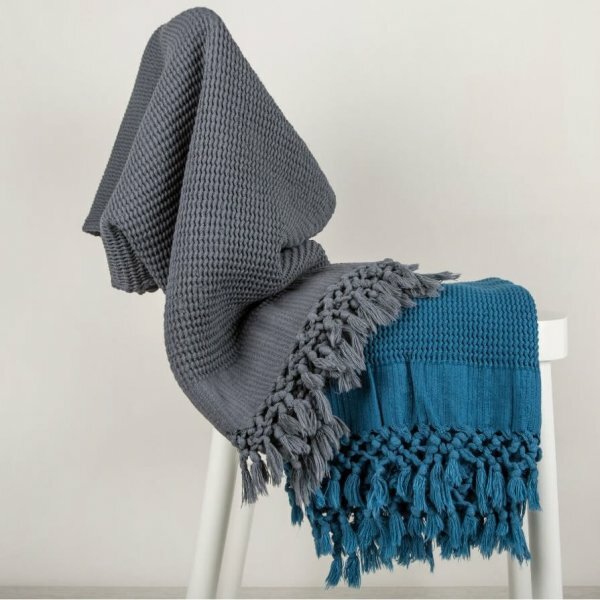 Indulge yourself in this beautifully hand-loomed Indigo hammam towel in truly simple elegance. 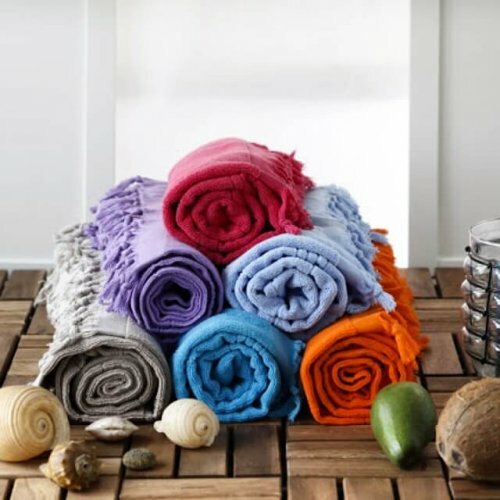 They are compact, quick-dry and totally flat-woven towels. 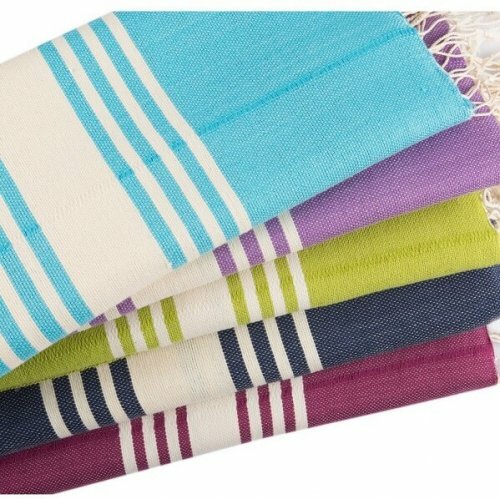 However, they are exceedingly absorbent and fantastically lightweight bath towel. 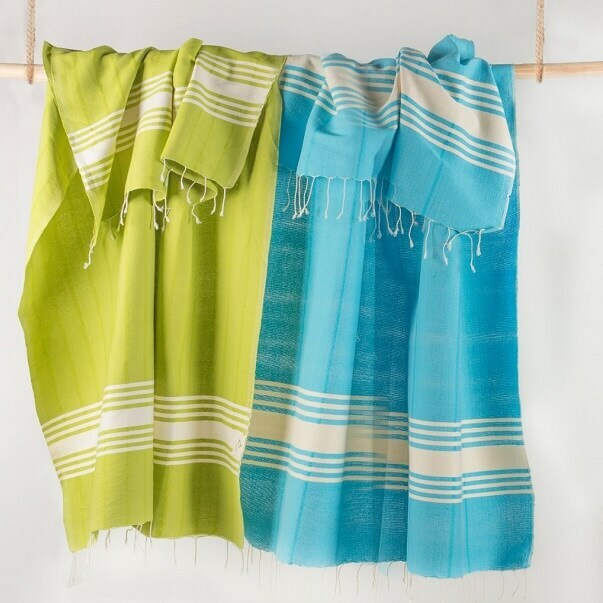 Extremely compact and easy care qualities make Indigo Hammam towel just equally ideal as beach towels, sports and/or pool towels. Furthermore, it is a perfect travel companion when space, weight and washing are the issues of modern travelling. You can use Indigo Hammam Towels as a snuggly and soft travel blanket whilst you are on-the-go! 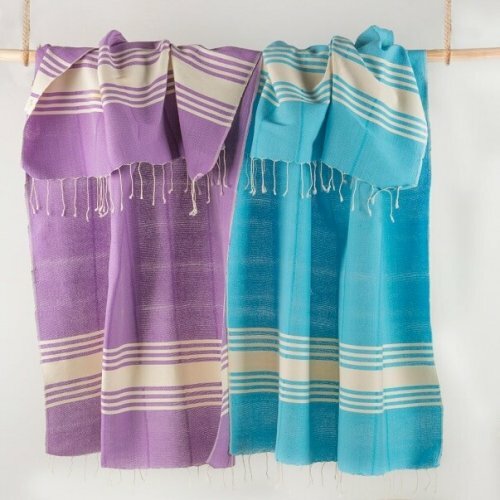 Made from 100% highest quality cotton yarns, Indigo hammam towels are specially designed for people with an active lifestyle to ease the hassle and maximise the fun. 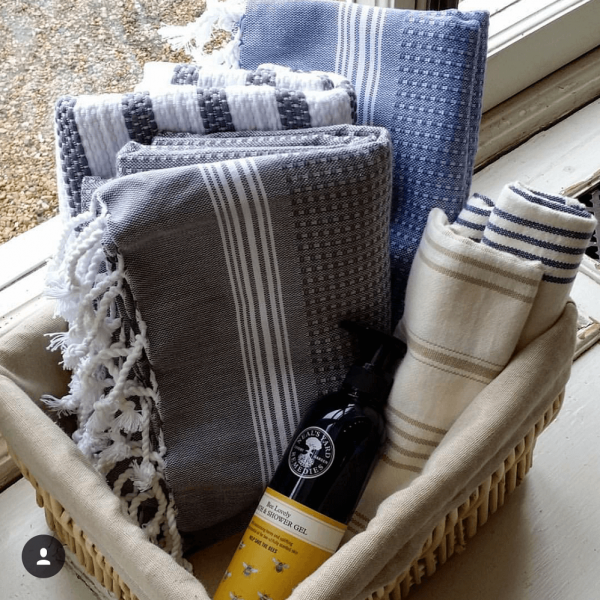 It is an utterly luxurious and stylish Turkish hammam towel for everyone with a clear emphasis on eclectic & individual style combined with urban comfort. An original gift idea for campers, backpackers, explorers, university students and festival people to name a few. 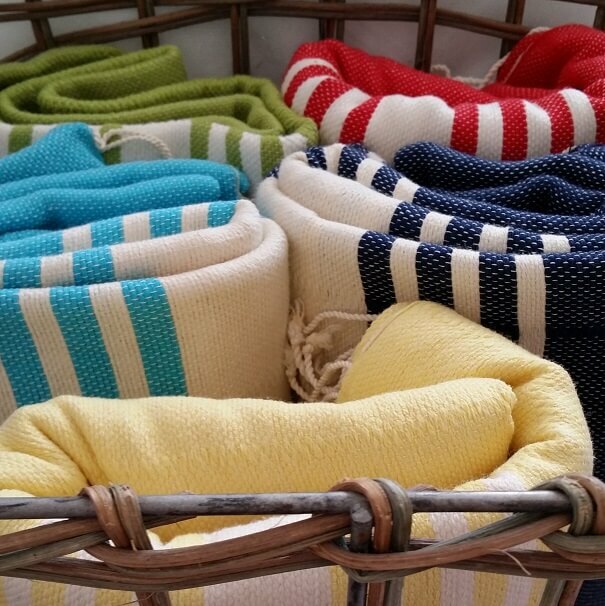 We genuinely love the practicality and good nature of these easy-going towels. 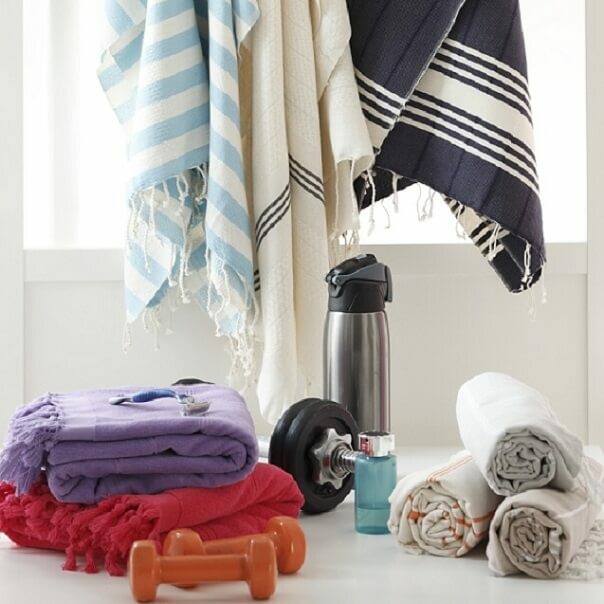 Indigo hammam towel will get softer and more absorbent after wash and wear. 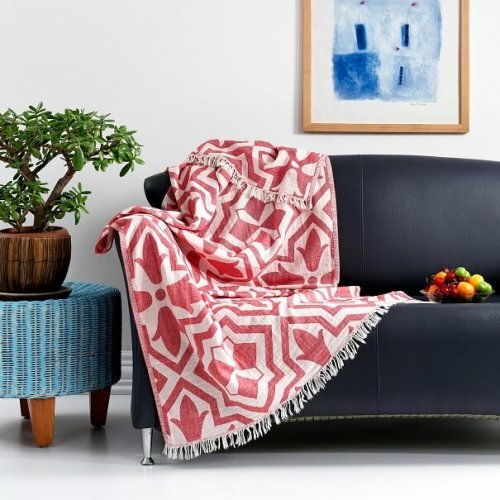 Any irregularities in the patterns reflect the hand-crafted nature of the product and add to the uniqueness of your purchase. Due to the unique crafting process of each peshtemal, there may be slight variations in size from the stated dimensions. This is truly a versatile towel. It’s so lightweight I had it in my handbag on a 3 week holiday around Australia. 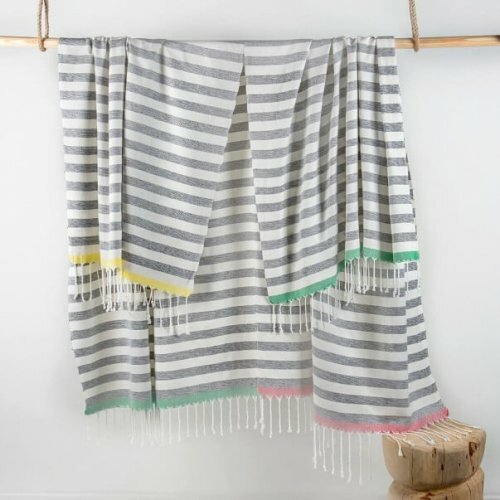 It served as a beach towel, a wrap on the planes and a coverup to stop me getting sunburned. 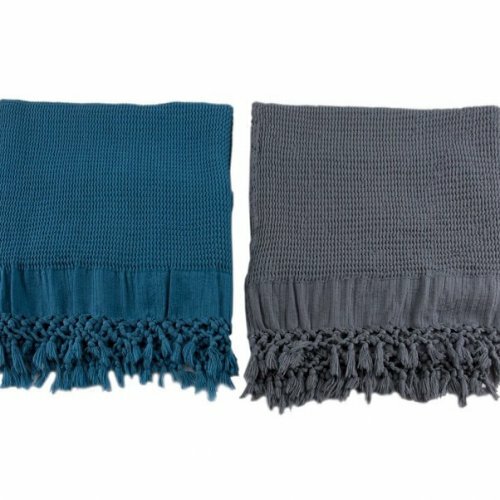 It looks good, washes really quickly and easily and feels good too. Highly recommended. I bought this towel for my son studying at Uni. 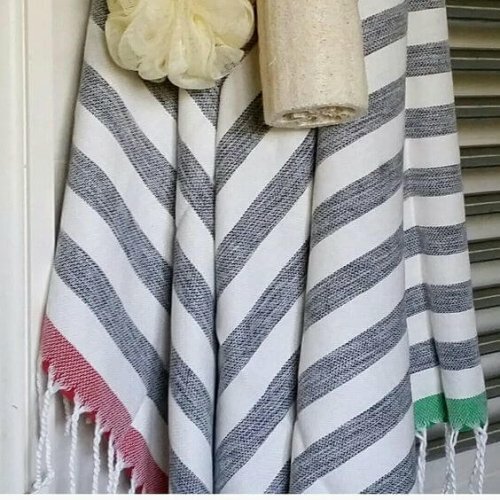 He finds it particularly practical, quick-drying, extremely lightweight and absorbent. He is very happy to have it 🙂 He is considering to order the other colour for his girlfriend as a Christmas present.